The Mindfulness, Relaxation & Stress Control Immersion guides you towards achieving a deep sense of peace and relaxation while developing the skills necessary to manage a stressful and hectic lifestyle. 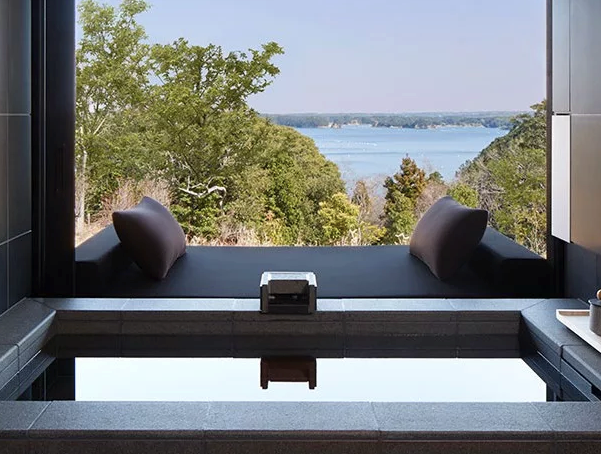 This Amanemu Immersion incorporates a number of traditional Japanese practices, including zazen meditation and a ritual tea ceremony, along with treatments such as shiatsu massage, acupuncture, and aquatic bodywork – all of which centre on minimising the effects of stress, reducing tension and cultivating mindfulness. This retreat is also available for rejuvenation, cleansing and transformation; or health, beauty and anti-aging. The retreat is available for 3-14 nights—please enquire for details. Specialist sessions with a private instructor will give participants the techniques required to work towards achieving a state of mental calm, both through mindful movement and meditation classes. Daily specialist and spa treatments, including bathing in a herb-infused onsen bath, will help release the physical build-up of tension in joints and muscles, allowing both the body and mind to achieve a deep feeling of rest and relaxation, and sending you home feeling restored and armed with techniques for long-term anxiety relief.